Quick, dig out your old copy of Harry Potter And The Philosopher’s Stone! As reported by The Sun, if you have an original hardback copy of the childhood favourite story then you could be sat on around £20,000. That is the value placed on the book if it contains this minor typo – but it is thought only around 500 copies do. As the first book in the series, Harry Potter and the Philosopher’s Stone has a special place in the affections of the millions of readers across the world and the proof reading error about the wand in the first edition has, of course, become a treasured piece of Harry Potter arcana. 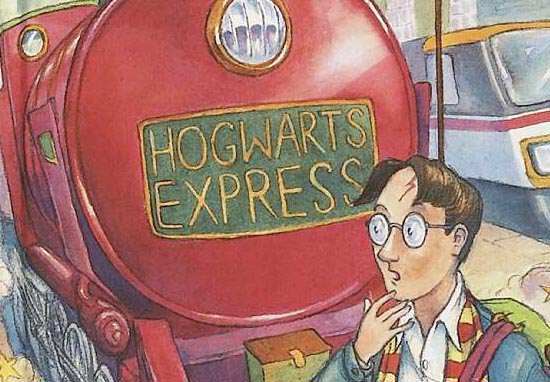 Like most enduring books aimed at younger readers, the Harry Potter books also have wide appeal to adults and there is a strong market among collectors for first editions. This copy is in excellent condition – one of the very best I’ve seen – and we’re expecting a lot of interest. Bonhams are set to sell one of these rare copies in November of this year in London, but if you fancy purchasing it then you may well need to make a withdrawal from Gringotts – so don’t forget your key.